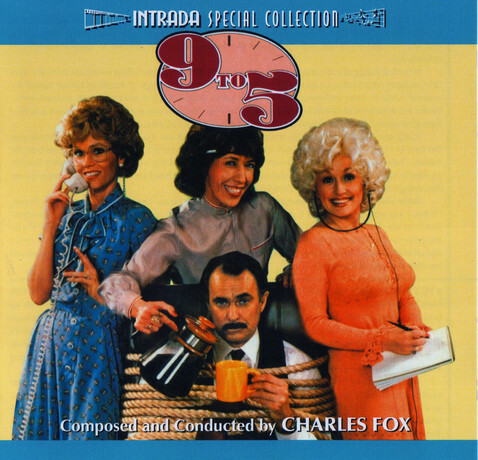 World CD premiere of vibrant Charles Fox orchestral score for popular Colin Higgins dark comedy with dynamic star turns from Jane Fonda, Lily Tomlin & then-newcomer Dolly Parton. Charles Fox writes to fantasy action about trio of likeable secretaries with murder on their minds. Infectious melody, rhythmic action collide! 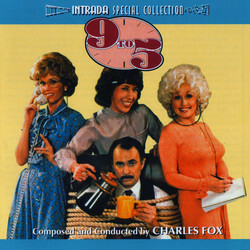 Intrada CD also includes wildly popular title song '9 to 5' written for movie & performed by Dolly Parton. Presented from original 1980 stereo album master tapes licensed courtesy of UMG. Charles Fox conducts. Intrada Special Collection release limited to 3000 copies!